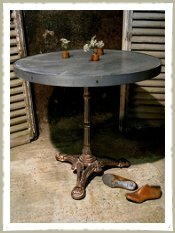 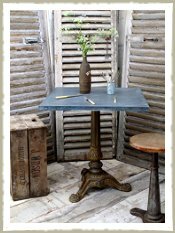 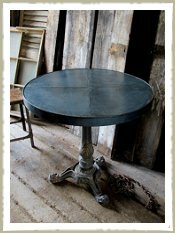 Aged Oak and Zinc Pedestal Table. 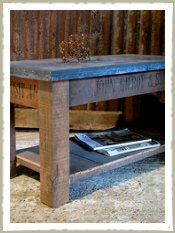 Zinc Topped Two Tier Work Bench / Kitchen island. 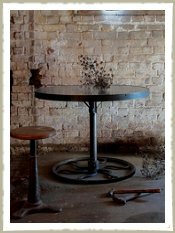 We’re zinc specialists and have spent many years perfecting our zinc aging and aftercare process using only the finest quality German zinc. 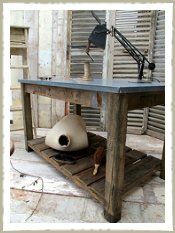 All of our zinc topped furniture and zinc tables are handmade here in our workshop in the UK. 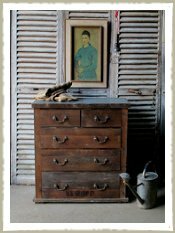 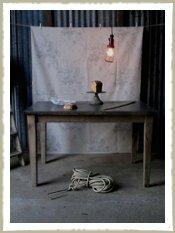 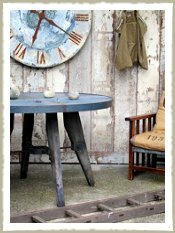 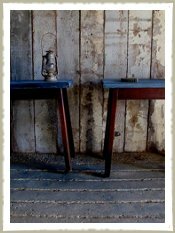 Each piece of zinc is unique and the beautiful patina is the perfect compliment to the warm depths of wood, as well as our aged painted furniture. 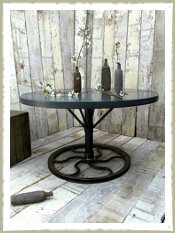 Our zinc furniture range can be made to measure choose from Zinc dining tables, zinc topped cafe tables and zinc topped coffee table.